Great opportunity to own property close to MARK TWAIN LAKE. Minutes for Blackjack Marina off of Rt. J. 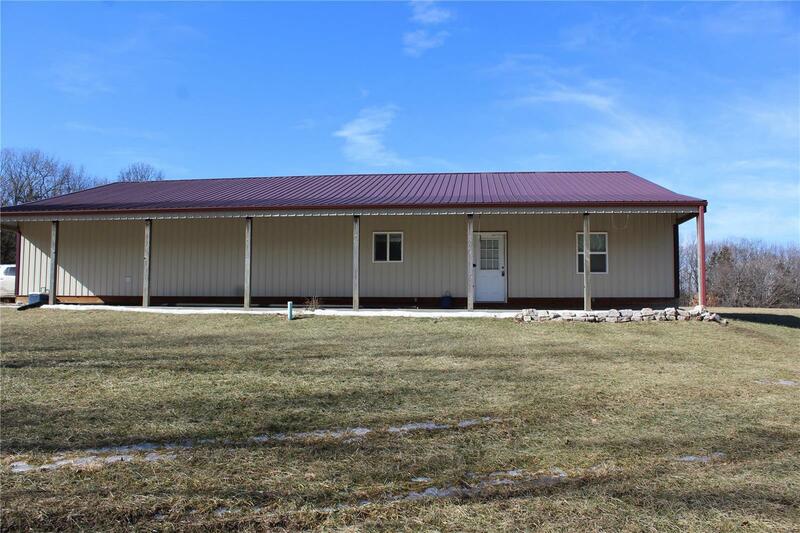 This 40x70 metal building is situated on 3.2 m/l acres and ready for your finishing touches. All the hard work has been done, plumbing, wiring, HVAC, insulation, lagoon, windows, doors and exterior finish. Approximately 1521 square feet of living space and approximately 1279 square feet of garage/storage space. Road association fee $250/year.